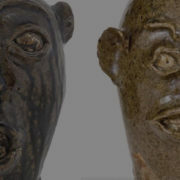 NEW YORK – Exuberantly colorful, majolica is often decorated with naturalistic and animalistic themes. 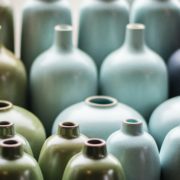 Monkeys, rabbits, fish, birds and a menagerie of critters run wild – often molded in high relief – on planters, humidors, teapots, platters, pitchers, umbrella stands, candlesticks, tureens, jardinieres, covered cheese keepers and more. Mastering the art of function with decoration, majolica’s greatest appeal arguably lies in its whimsy. Collectors crave scarce pieces such as a teapot decorated in the form of a spiny blowfish, a monkey hugging a teapot (his tail forms the handle) or a compote held aloft by a camel. “We have found that people collect in many different ways. 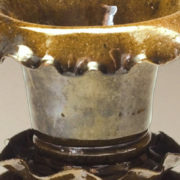 There are teapot collectors and cheese dish collectors, some collect specific makers like George Jones or Minton, and many collect majolica in general without any specifics,” said Michael G. Strawser, president of Strawser Auction Group in Wolcottville, Indiana, which holds a specialty majolica auction annually. “Animal pieces have always been desirable. 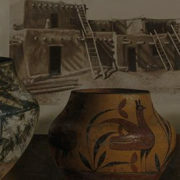 Some of the most valuable pieces have been teapots, animals and other various forms. Value is based on condition and rarity,” Strawser said. As with any antiques genre, taste is highly subjective. 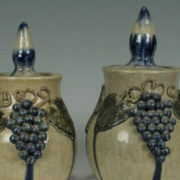 “We have had collectors who wanted tobacco-related majolica, including humidors and match strikers. Most of the collections I have seen over the past 30 years have been varied and not specific to shape or maker. 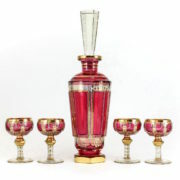 Collectors should always buy what they like,” Strawser said. 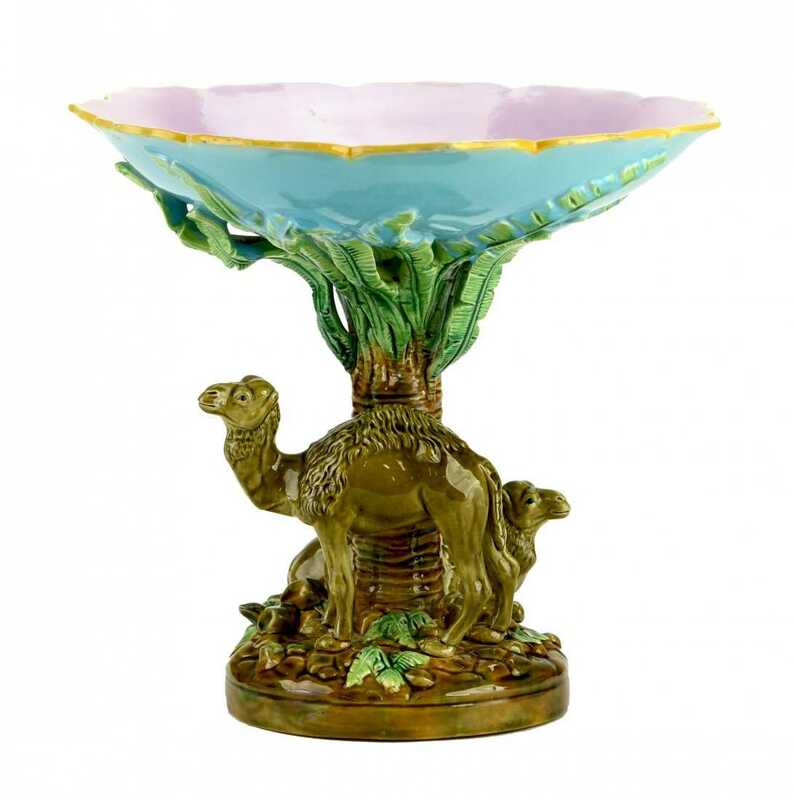 According to the Majolica International Society, majolica debuted on the world’s stage in 1851, when Herbert Minton aided by French chemis Leon Arnoux, showcased majolica at an exhibition held at London’s Crystal Palace. 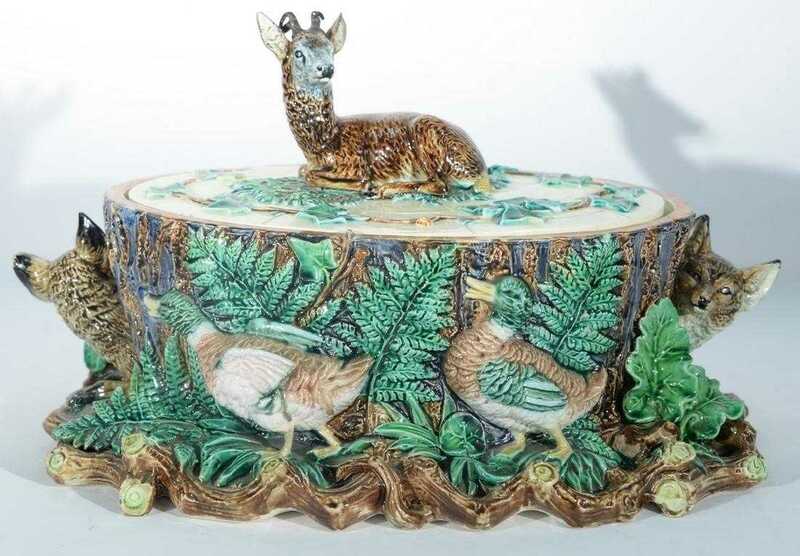 The roots of English majolica, however, owe much to its predecessor, French Palissy ware, which was developed by Bernard Palissy in the mid-16th century. 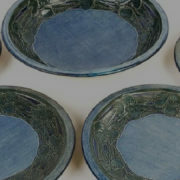 After much trial and effort, Palissy formulated five colors of lead glazes, giving rise to majolica pottery. “The excitement generated by the richly colored majolica inspired Minton artists to develop art revival styles parallel to those of the Renaissance, Palissy design, Gothic revival and medieval styles, naturalism (by far the most prolific), Oriental and Islamic styles, and figural pieces, both human and mythological,” says a commentary on the society’s website. Including Minton, several English firms were renowned for majolica, and their best and rarest pieces are highly collectible to this day. Minton made pieces for both the garden and the home, especially dining pieces, which, at the height of the Art Nouveau era, featured a bevy of naturalistic designs. Perennially popular patterns included corn, pineapples, fish, leaves and lilies. A decade after Minton introduced majolica, Josiah Wedgwood & Sons put its own stamp on the opaque tin-glazed pottery, fashioning pieces that were often more staid and traditional than Minton but still as colorful and sometimes just as whimsical. Its lobster and fish platters are much sought after. Another name many veteran collectors chase, and whose pieces typically bring top dollar, is George Jones & Son, who learned well from Minton during his seven-year apprenticeship there. At once beautiful and ornate, yet indisputably amusing, George Jones pieces are as well made as any majolica made by Minton or Wedgwood. 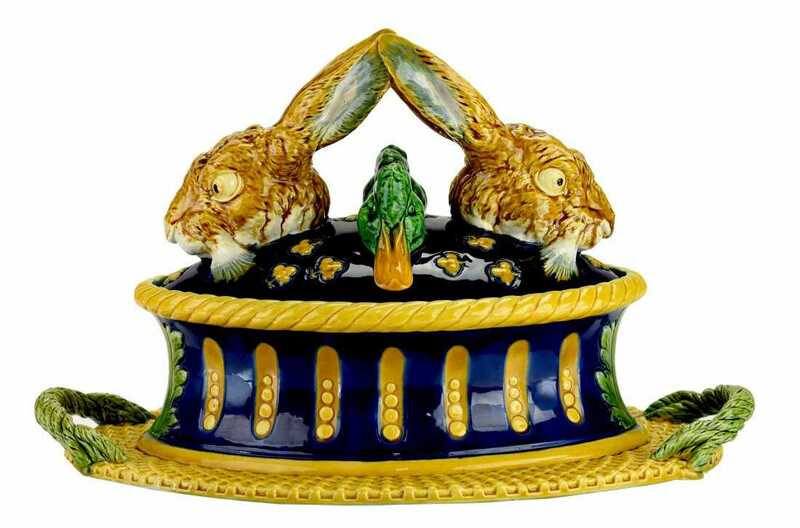 The best-loved George Jones majolica pieces include compotes, covered cheese keepers and game dishes. 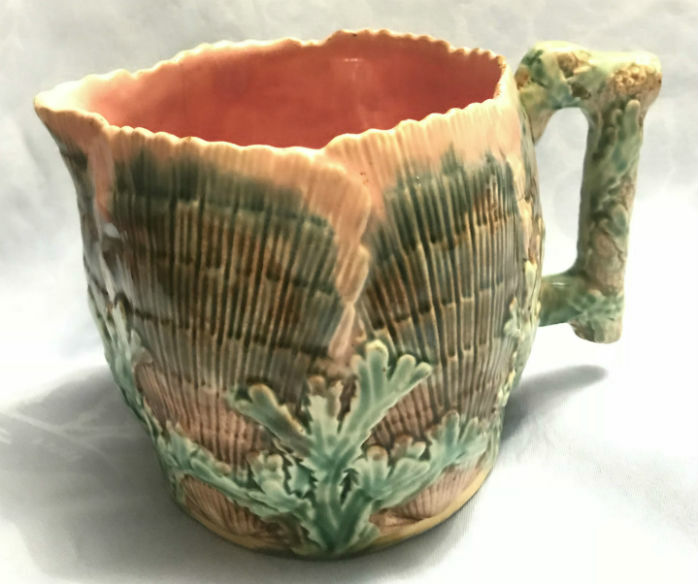 While not very valuable, this creamer by Griffen, Smith & Hill in the Shell and Seaweed pattern is appealing for its shell decoration and creamy pink hue on the inside. 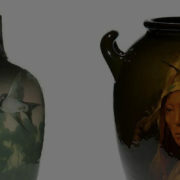 Following the U.S. Centennial in 1876, the American pottery movement embraced majolica – just about the same time it was falling out of favor in England. One of the leading American manufacturers was Pennsylvania-based Griffen, Smith and Hill, whose Shell and Seaweed pattern was well received. Majolica was also made by several firms in Trenton, New Jersey; Baltimore, Keene, New Hampshire; and Ohio. 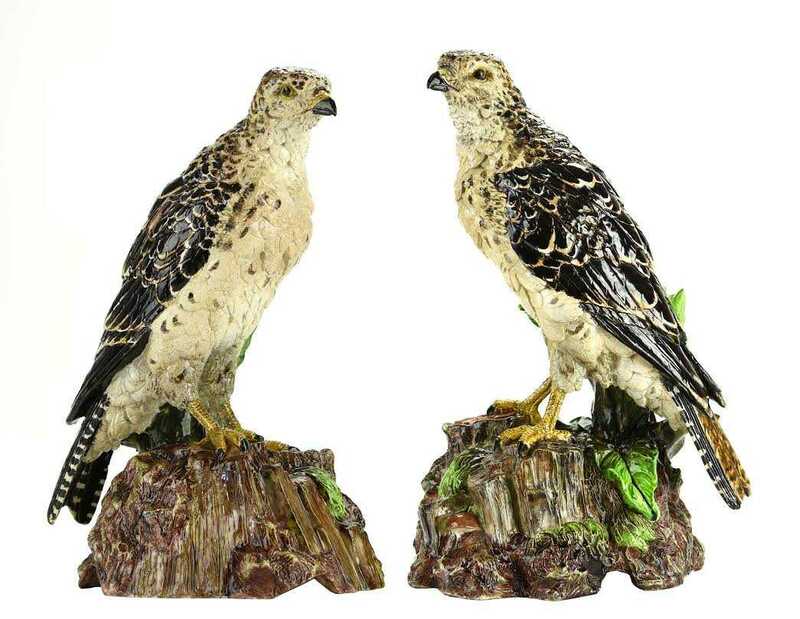 While demand remains high for rare majolica, prices have fallen for the more common pieces. This further reinforces Strawser’s recommendation that collectors should buy what appeals to them, not what they think – rightly or wrongly – might increase in value.